A bit of cloud flies through the morning sky. Author andrew puntchPosted on January 26, 2017 Categories LandscapeTags appreciated, cloud, Lambton County, light and dark, rural scene, Sun, thanks, welcomeLeave a comment on Break! Though I was busy with chores this evening, this cirrus cloud caught my eye. 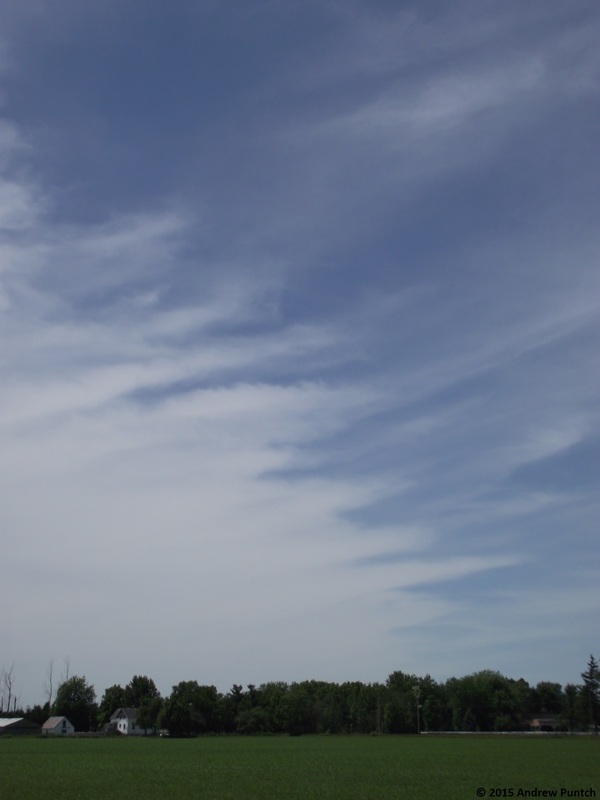 The scalloped edge of this sheet of cirrus cloud curves across the frame.